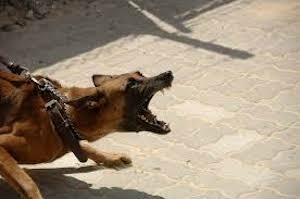 Valley Glen Dog Bite Injury Attorney – Over 40 Years of Experience You can Trust Were You or a Loved one Injured in a Dog Bite Incident in Valley Glen? Our Valley Glen dog bite injury lawyers offer tenacious, compassionate legal help for dog bite injury victims, and for the families of victims killed by dog attacks and other fatal incidents or wrongful death claims, in Valley Glen, a highly diverse community in the suburbs of Los Angeles City and County, CA, with a population of about 172,036. Valley Glen is bordered by Sherman Oaks to the south, Van Nuys to the northwest, and Valley Village to the east. Valley Glen is home to Los Angeles Valley College and The Great Wall of Los Angeles, a half-mile long mural detailing the history of Los Angeles, from prehistoric times to modern day. For a fun night out, you can visit The Robin Hood British Pub, boasting excellent drinks and food, darts tournaments, and music. Valley Glen dog bite injury victims can suffer terrible injuries consisting of punctures and lacerations, nerve damage, fractures, infection, permanent scarring and severe emotional distress. Care and treatment is often provided by medical doctors, plastic surgeons, neurologists, psychologists and pain management doctors. Occasionally orthopedic doctors, physical therapists and chiropractors may be needed, especially when a dog attack causing the dog bite victim to be knocked down, suffering various other injuries from muscle strains, sprains and ligament tears (e.g., ACL tear in the knee). Sometimes the injuries may even cause fatalities, resulting in wrongful death claims. It is key to keep distance between yourself and a strange dog. Many dogs are beloved family pets, who may have gotten out of the house or yard by accident, and are perfectly friendly. 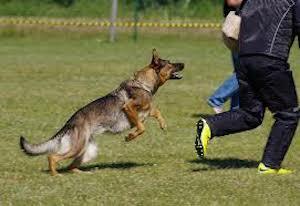 However, some dogs can be aggressive, frightened, injured or ill, and therefore be prone to biting. It is wise not to touch a strange dog. Calling local Animal Control or luring the dog into an enclosed, safe area are much safer options than attempting to handle any strange animal. 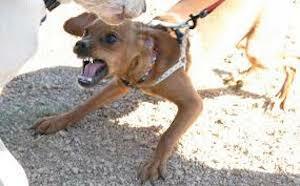 There is always a possibility that even the gentlest, most well-behaved dog will snap, due to fear, pain or stress. By keeping a safe distance, you keep yourself and the dog safe, as dogs deemed dangerous can be put down, and you may suffer terrible injuries from being bitten. A common serious injury suffered by dog bite victims is permanent scarring and/or disfigurement. Scarring and disfigurement can be life-altering, especially when the face, hands and visible parts of one’s legs are bit and affected. These are highly damaging injuries which may require physical therapy, cosmetic reconstruction, and can cause infections and permanent disability. There is a high amount of physical, emotional and psychological pain associated with these injuries. If you or anyone you know sustained any dog bite, permanent scarring or disfigurement from a dog bite, or any injury from any dog attack, in Valley Glen, Los Angeles, or anywhere in California, please contact us now, including for referrals to doctors who often will provide medical care and treatment on a lien which means without payment required until your claim is resolved. For more information about dog bite incident injury claims and to find out more about our law firm, please see our Dog Bite Incident Injury and Attorney’s Profile Pages. The Law Offices of Gary K. Walch, A Law Corp’s objective is to aggressively pursue your rights while best representing your interests. Our law firm achieves its goal by providing you with the strong, dedicated advocacy you need when you or a loved one has gone through a horrific dog bite or other injury incident in Valley Glen or anywhere in California, while offering compassion and understanding to make this process easier for you and your family. Our injury accident lawyers handle dog bites, vehicular (car, truck, motorcycle, scooter and bicycle accidents), uninsured motorists (UM) claims, and much more. Receive a FREE Consultation by Contacting Our Valley Glen Dog Bite Injury Law Firm Today. Remember, with our firm on dog bite injury cases we offer an absolutely FREE consultation and There is NO fee until you win!